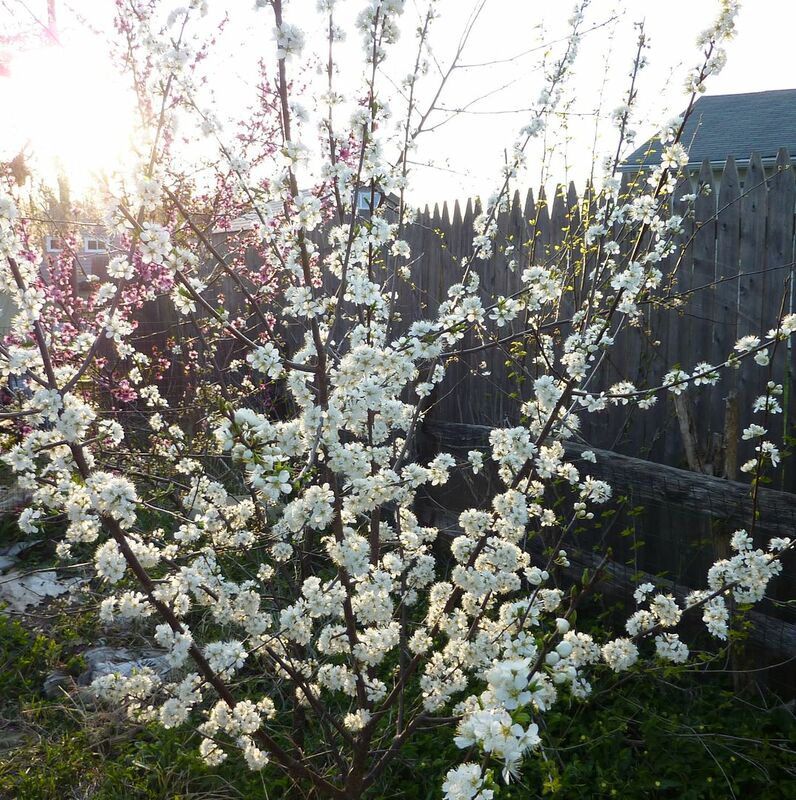 Our Native Plum is flowering in full force this year. I actually have 4 of these planted right next to one another. You're looking at two in the picture, then there's a pink flowering 5 in 1 peach and whatever tree, then next to that are the other two plums. I believe they are Prunus americana but I'm not sure of that. As it's is a Prunus though that means it's very beneficial to nature both in Lepidoptera host plants, and to wild life. The flowers have a great scent to them.